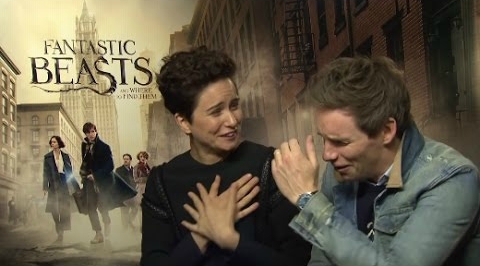 Speaking to Pottermore back in July, Eddie Redmayne said that “the most exciting moment of [acting in Fantastic Beasts and Where to Find Them] is the moment of getting a wand.” And that’s not hard for us to imagine, is it? Picture yourself being presented with a table full of beautiful sketches of wands by a talented art department, and being told that you can choose any one of them. Pretty exciting stuff, that’s for sure. And it’s only natural that after being able to choose this wand, call it his own and use it throughout the whole filming of Fantastic Beasts, Eddie has become rather attached to it - I think we all would. Daniel Radcliffe, however, seems to have different ideas.